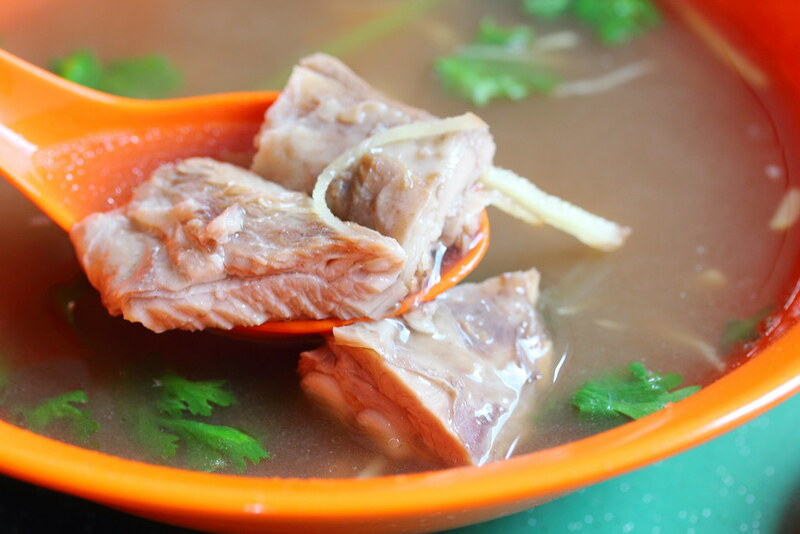 Located on the fourth floor of Beauty World Centre is this old school Teochew mutton soup stall that seems to have been around for ages. 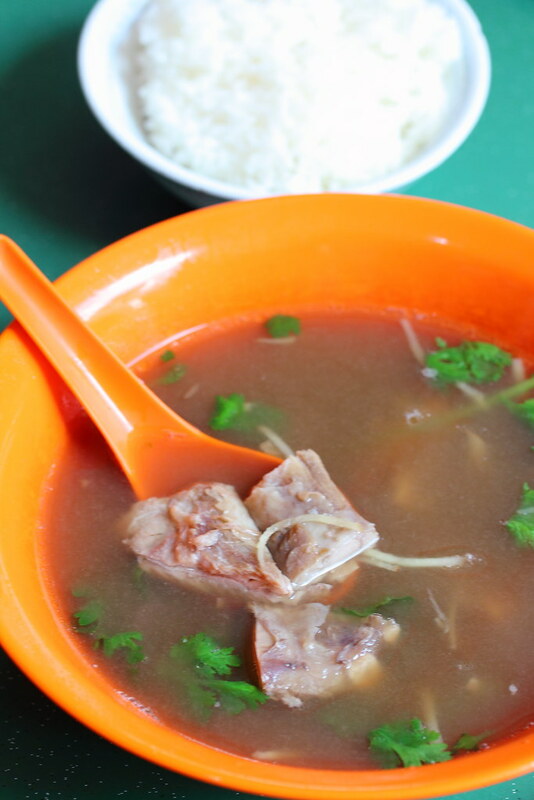 Hong Wen Mutton Soup is founded by stall owner, Mr Tan's father back during the days at the demolished old Seventh Mile market. Mr Tan now runs the stall at Beauty World Food Centre while his brother has another stall in the nearby Bukit Timah Food Centre. 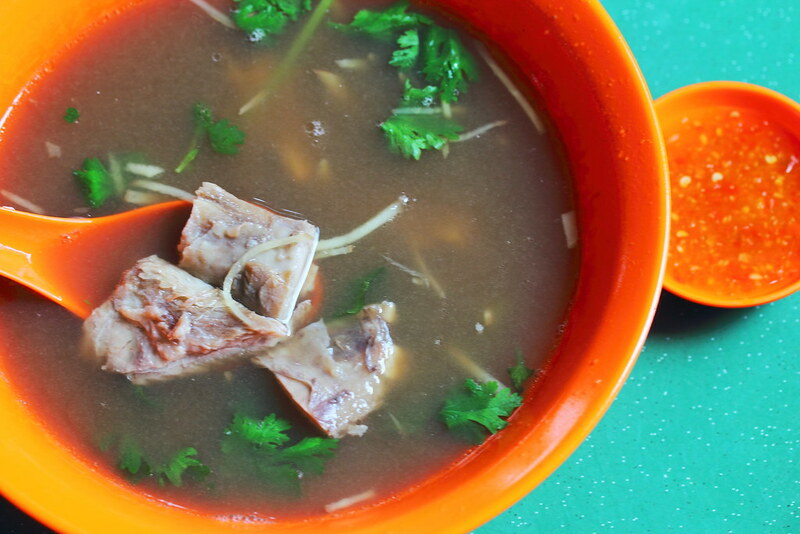 The Mutton Soup ($5) has a sweet herbal flavour with lots of shredded ginger masking the gamey taste of the mutton. However I find the soup too sweet to my liking. The mutton chopped into small pieces fell off the bone with ease. It was very tender and did not have any gamey taste. However I thought the serving was a bit small with only a few miserable pieces of mutton. I can't blame Mr Tan as I understand he used good quality mutton from New Zealand and he needs to watch his cost. 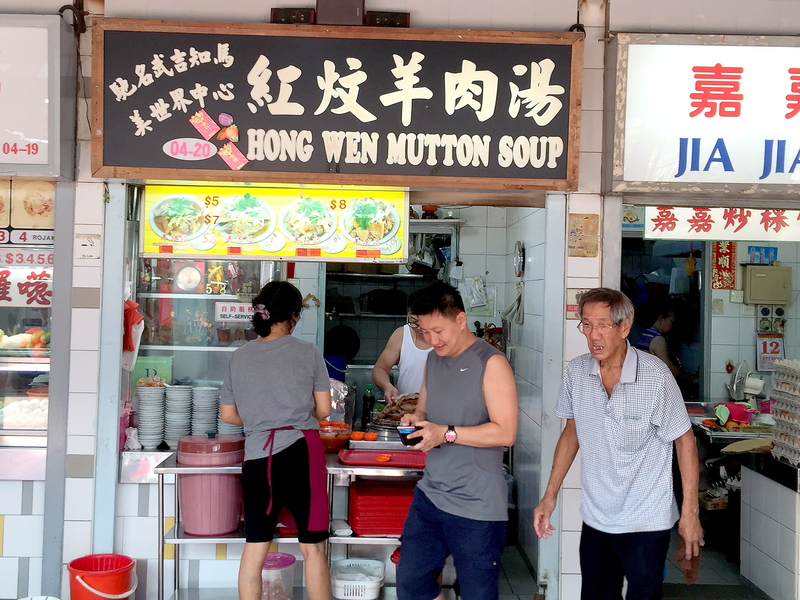 While I did not quite enjoy the bowl of mutton soup from Hong Wen Mutton Soup, I could tell that it has its own loyal supporters throughout the years. During my visit, I noticed a steady stream of customer patronizing the stall.